25 years ago today when I took over the Belmore Hotel in Stoke Mandeville and set it up as a health and beauty centre who would have thought I would still be steering the ship 25 years later. The most challenging part of running a business that size for so long is employing people. I have met some amazing people along the way and even when things haven’t worked out and employees have wanted to move on or change direction, it always teaches me something. I would like to thank all those that have been employed by the Belmore Centre over the last 25 years and helped it grow and develop into the business it has become today. It would not have been possible without you all and I feel blessed to know so many of you are still my friends and we are still in touch. I know that great leaders don’t set out to be great leaders, they set out to make a difference, it’s never about the role always about the goal. Hopefully I have made a difference as I have always followed my passion which has enabled my business to grow from humble beginnings in my bedroom at home to the Belmore Centre situated at the Ranch House with ten treatment rooms, a hairdressing salon and a fitness studio. Then nine years ago I set up a medical clinic, Whitethorn Fields MediClinic in Old Risborough Road, along side Features For Life, my Cosmetic and Medical Tattooing business. We also have MT Training which is my Medical Tattooing business that trains nurses to carry out Areola Restoration treatments after breast reconstruction or reduction. I could not have achieved any of this without a huge support team of Receptionists, Managers and Therapists behind me. I have worked hard over the years to produce businesses that continually evolve and develop new concepts and ideas for future health and skin care education. These can and do make a real difference to peoples lives. I wanted to have a centre so clients not only look better, but feel better too. Which is why the Belmore Centre offers such a unique combination of treatments for the mind, body and spirit. So the time now comes, and I feel that after 25 years it is time to pass the reins over to my trusted Director and Stepson James Goldney, and HR Manager Bethany Mallinson who will be leading the Belmore Centre into further success with such a loyal and supportive team, many of which have been working for the Belmore Centre for over ten years. I will still be in the background for new ideas and treatment development, to help with the continuous growth of the Belmore Centre and hopefully my vision to continue to inspire others within our industry. When I won the award for Buckinghamshire’s Business Leader of the Year in 2014 I realised how far I had come after leaving school with only an O’Level in Pottery, and that following my passion is what it took to achieve the success I have today. After running my Aesthetic Clinic, Whitethorn Fields MediClinic, alongside the Belmore Centre for the past nine years we now have to deal with the impending arrival of HS2. It is time to move on as we get compulsory purchased, but fear not! There is light at the end of the tunnel! This gives me the opportunity to set up a new clinic, the last one. After being in the Health and Beauty industry for over 38 years this will be my final business, the last chapter. 2018 will see the arrival of our new clinic, offering Cosmetic and Medical Tattooing, Aesthetics and Advanced Skincare; Karma House. If you would like to follow the journey and building of Karma House clinic please like and follow my Facebook page, Karma House Project, where I will be posting photos and sharing with you the journey over the next few months as the new clinic starts to take shape! So thank you and farewell to the Belmore Centre, its been a fabulous 25 years! Microblading has fast become a world-wide phenomenon with people from all walks of life taking to this new must-have treatment. From Celebrities to twenty-somethings to the older generations, it seems there is a calling to all for Microblading. The younger ones will do anything to get that perfect selfie, and that includes having the perfect brows! The more senior client can use this procedure to infill sparse, barely there brows, as a result of then fashionable over plucking in the 60’s! Microblading inserts individual hair flicks to create natural looking eyebrows. Now available at The Belmore Centre, call 01296 612361 to book. Sun dried, dehydrated,cracked skin? Book in for a Clarins Body Polish! Whilst the sunshine brings many benefits for the skin, it can also leave it dry, dehydrated and in need of a little TLC. When summer draws to a close and we enter Autumn it’s a good idea to bring your skin back to its best ready to endure the bitter cold months ahead! A Clarins Body Polish is a popular body treatment that exfoliates and hydrates your skin, leaving it smooth and soft. It is like a facial for the body! The skin is buffed, polished and exfoliated with a revitalising body scrub to remove all dead skin cells. Then a rich Clarins moisturiser is massaged into the whole body to revive and nourish, leaving your skin feeling silky smooth. It’s a good idea to book in advance so call the Belmore Centre today on 01296 612361. The sunshine has arrived and the bank holiday weekend is just a few days away – here are a few simple treatments you can book in for to make the most of the glorious weekend ahead! Waxing – The essential for any good weather, be hair free and care free! Manicures and Hand Treatments – A must have to ensure beautiful nails and silky smooth hands! Ear Piercing – Been thinking about getting your ears pierced? What better time to do so than now! St Tropez Spray Tan – We haven’t seen much sunshine of late, why not have a cheeky bit of help with as fabulous St Tropez Tan to ensure you are golden and gorgeous! Express Facial – Kick start as you mean to go on and spoil your skin with this 30 minute express facial to really boost your skins natural beauty and leave you looking and feeling fresh ready for the weekend! Be striking this summer and make your eyes stand out from the rest! We have a variety of treatments for the eyes at The Belmore Centre, but these two are most definitely our top picks! The Barefoot SOS range is formulated specifically for dry, irritated and sensitive skin types. It’s unique formula is used to help combat conditions such as dry skin, eczema and even psoriasis. The range includes a daily body lotion and cream, a body and face wash as well as a dry scalp treatment shampoo and conditioner. Suitable for all skin types this range is used by thousands each year to improve and maintain their overall skin condition, texture and suppleness. If you would like to find out further information on the Barefoot SOS range or would like to purchase some products please call the centre on 01296 612361 or drop by and our friendly reception team will be more happy to help you. Showcase your Shellac in the SUNSHINE! The sun….is here! At last we can all grab our SPF’s, put on our hats and head outside! A biblical beauty essential are the nails. Make sure your nails are beautifully perfect with no chips and a glossy shine, lasting you at least two weeks! ‘Sparks Fly’ with this beautiful glitzy pink! Don’t forget to book for both Shellac Manicure AND Pedicure, it’s a beauty sin to not have matching hands and feet any time of year, but especially throughout summer! St Tropez your way to tanning perfection this summer! Is summer coming?…. Who knows! It looks like this year we may need a little help getting that beach body glow ready for all our ‘summer’ shenanigans! We want to wear the dresses, we want to show off in shorts and we want to hit the beaches in our fabulous bikinis! But we want to do all this with beautifully tanned skin…. If the sun fails to stick around long enough for us to get that rich healthy glow then you may want to consider a St Tropez tan. St Tropez tanning is available as an application tan or a spray tan. With the St Tropez application tan you will receive a full body exfoliation before the tan application which will develop over a 7-8 hour period. If you opt for the St Tropez spray tan this is a fast and easy way to be beautifully brown within hours! This top-to-toe tan will develop over 8 hours and we recommend you exfoliate the night prior to your spray tan appointment. If you would like to book in for your St Tropez tan and get that golden riviera colour then please call us on 01296 612361. We are open to 9pm on weekdays as well as Saturday’s and Sunday’s. Why not treat yourself this Autumn to a Pumpkin Peel; this amazing skin peel is perfect to refresh, refine and revitalise your skin after the summer. The pumpkin peel uses pumpkin pulp which is naturally rich in beta carotene and active enzymes which stimulate tired skin and boosts its natural defences.The pumpkin peel is what we call our entry level peel as it can be performed by our cosmetic technicians. This treatment would not be suitable on sensitive skins, rosacea or active acne. 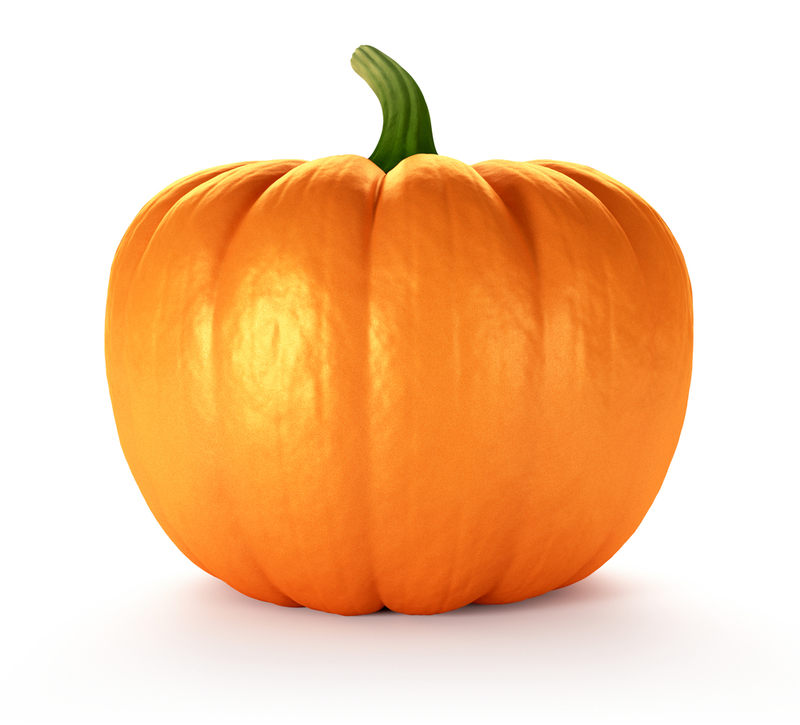 Throughout October only, we are offering the Pumpkin Peel to you at the reduced rate of £45, instead of £57. Come and see for yourself how your skin can be improved when all those dead skin cells are removed! Must be available evenings and weekends. 18 hours per week minimum. Computer literate and excellent communication skills. Must be able to work as part of a team and have experience in a customer service based role. An interest in the Health and Beauty industry is desirable. Must be available to start after Easter. Deadline for application: 09/03/15.